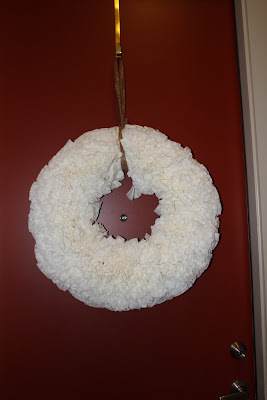 ...My coffee filter wreath will be waiting for you!. YAY! It's finally on display for all who live at the farthest end of my apartment complex to see! Sorry, the lighting is so bad in the hallway..
Want to make one of your own? Directions here.